We could use some votes to break a tie, please : Han & Leia Scenes Survivor #1 - Moments from our OTP! Forgot to bring this by the other day. Congrats to all the other boards that are celebrating! And a new round has started at Agent Carter! 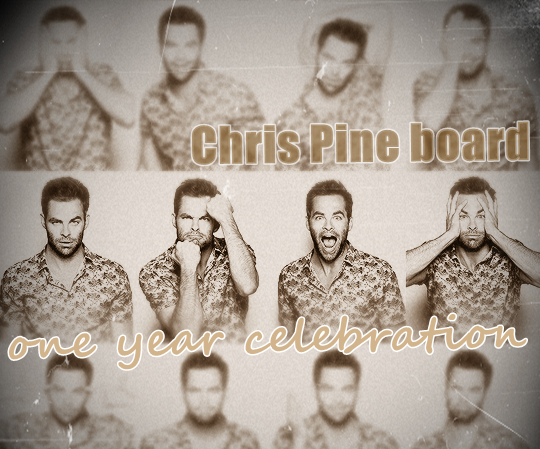 Congrats to the Chris Pine board! We're going to be celebrating 200k at Friends soon if anyone wants to write a testimonial or make icons or something, anyone is welcome! Have fun compiling your celebration! We could use some votes here, please : Han & Leia Scenes Survivor #1 - Moments from our OTP!